Football is important to Neymar Jr., so is family. His close relationship with his sister, Rafaella, is symbolised by a diamond tattoo on each of their arms. Just above Neymar Jr.’s tattoo is the word ‘sorella’ (sister), while Rafaella has ‘fratello’ (brother) above hers. Neymar Jr. stands out from the crowd, on and off the pitch. The challenge for Nike’s design team was to ensure his boots stood out as well. Neymar Jr. launched the original Hypervenom in Rio de Janiero in 2013. He followed it up with a gold edition of the Hypervenom the next summer. And today Sport-locker.net can reveal, as Neymar Jr. enters his eighth year as a Nike athlete, he will debut the Hypervenom Liquid Diamond. The NikeSkin upper of the Hypervenom provided a textured canvas, enhancing the dimension of the color. After experimenting with a variety of different shades, the Hypervenom Liquid Diamond began to emerge, with colourful accents as a nod to Neymar Jr.’s personality. The Hypervenom Liquid Diamond will be available for pre-sale via the Nike Football App Jan. 26 and will be on www.Nike.com Jan. 28. 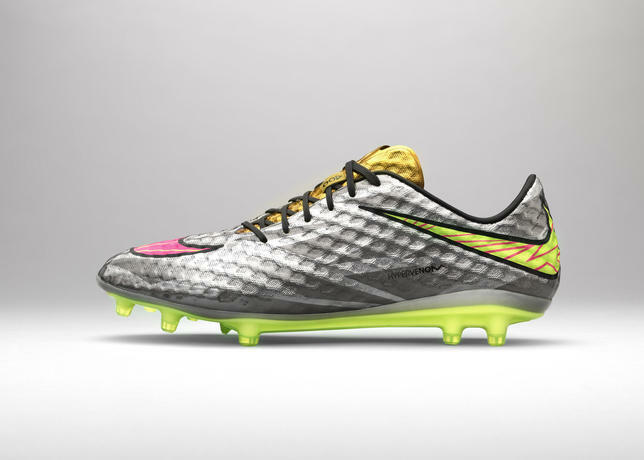 What do you think of the Nike Hypervenom Liquid Diamond? Let us know in the comments section below or on our Twitter and Facebook pages.